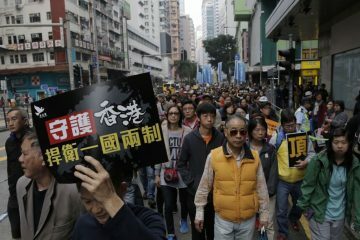 THE CONVICTION yesterday of nine leaders of Hong Kong’s Umbrella Movement represents the further criminalization of political dissent in Hong Kong. All pled not guilty but were convicted on charges of “public nuisance,” facing a maximum seven-year jail sentence. A specific sentence has not yet been announced and it is unknown if any of the nine will try to appeal. 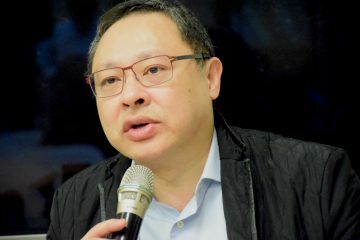 Justice Johnny Chan claimed during the ruling that civil disobedience was not a valid criminal defense, however. 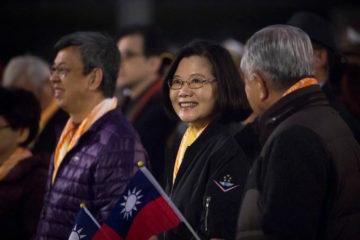 Among the nine leaders were the three leaders of “Occupy Central with Love and Peace,” the so-called “Trio” of Benny Tai, Chen Kin-man, and Reverend Chu Yiu-ming. 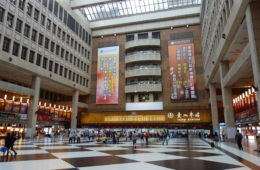 Ironically, Occupy Central was criticized from more youthful student activists during the course of the Umbrella Movement, for attempting to emphasize peace, rationality, and minimizing public disruption. 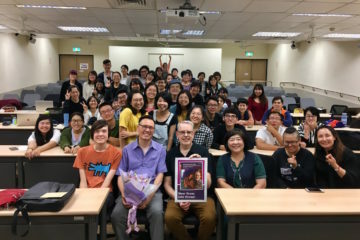 At the time, this led to some tensions with student leaders such as Joshua Wong and Scholarism, which later became Demosisto. 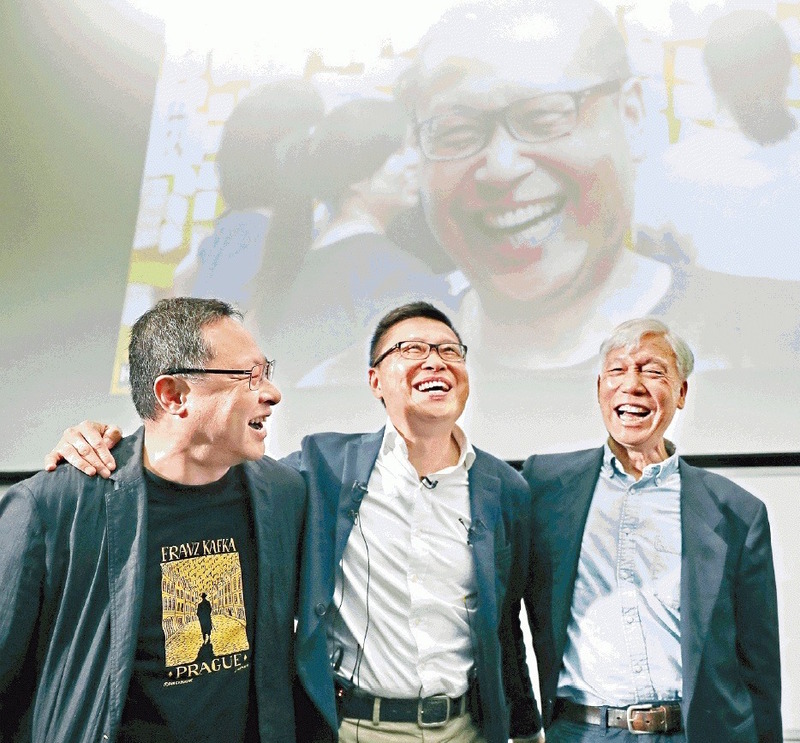 Nevertheless, this has not prevented the Hong Kong government, acting as Beijing’s proxy in Hong Kong, from sentencing the Occupy Trio as though they did deliberately aim to maximize public disruption. 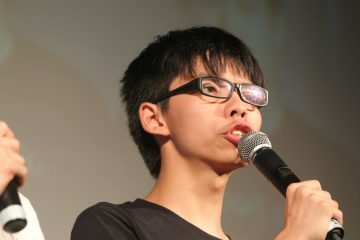 Key student leaders such as Joshua Wong, Nathan Law, also of Demosisto, and Alex Chow, at the time, the secretary-general of the Hong Kong Federation of Students, previously also faced jail sentences before this was later overturned by appeal. 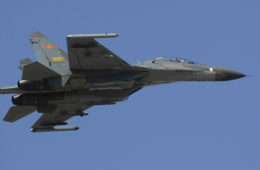 Wong was originally sentenced to six months in jail, Law to seven, and Chow to eight months. 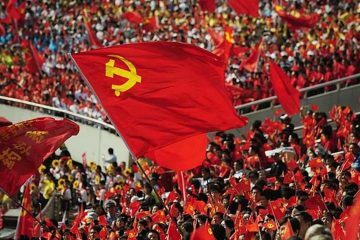 Tommy Cheung Sau-yin, 24, a former president of Chinese University’s student union, and Eason Chung Yiu-wa, 26, another former president of Chinese University’s student union, were among the youngest of those sentenced yesterday. Others sentenced include politicians such as Raphel Wong, vice-chairman of the League of Social Democrats, Shiu Ka-chun, a legislator of the Social Welfare functional constituency, Tanya Chan, a Hong Kong island legislator, and Lee Wing-tat, a former chair of the Democratic Party. 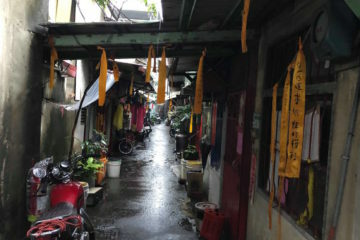 As such, student activists, civil society leaders, and elected politicians were all among those convicted. 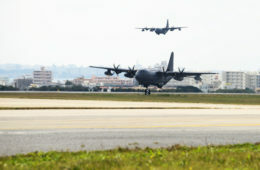 Again, it is possible that some of the convicted may eventually be freed on appeal, as occurred with Wong, Law, and Chow in 2017. 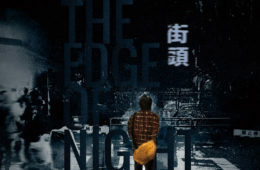 At the same time, it is also possible that the Hong Kong government intends to make an example of the nine individuals sentenced, sentencing them to years in prison similar to the six-year prison sentence currently being served by localist Edward Leung. 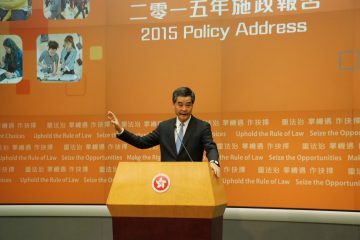 While this sentence was handed down to Leung for his role in the “Fishball Revolution,” which involved clashes with the police over the 2016 Lunar New Year in Mong Kok, this was very likely also retribution against Leung for attempting to run for office as a candidate that openly endorsed localist ideas including Hong Kong independence, as well as his attempting to campaign for other localist candidates after he was banned from running for office. 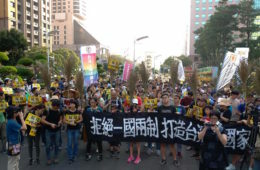 The jail sentence faced by leading figures of the Umbrella Movement strongly contrasts to Taiwan, in which the major figures of the 2014 Sunflower Movement have generally not faced any charges for their actions. 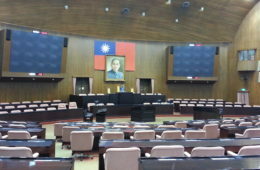 Although the relevant legal cases are ongoing and the Taiwanese government does likely to take legal action against individuals that participated in the attempted occupation of the Executive Yuan that occurred about a week after the initial occupation of the Legislative Yuant, those that participated in the initial occupation of the legislature have been cleared of charges with the view that this was justified civil disobedience. 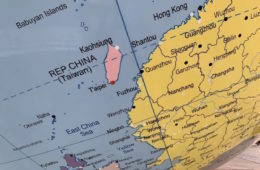 Nevertheless, Taiwan is a democracy in a way that Hong Kong currently is not. Democratic freedoms in Taiwan were originally been won through street protests during authoritarian times, such as with the 1990 Wild Lily student movement. 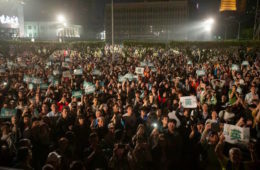 Consequently, there is a strong tradition of democratic protest in Taiwan. 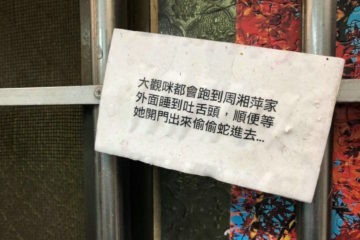 On the other hand, the sham of democracy in Hong Kong is such that candidates are prevented from running for office on the basis of their political views, disqualified from office for criticizing the Hong Kong government and Beijing. 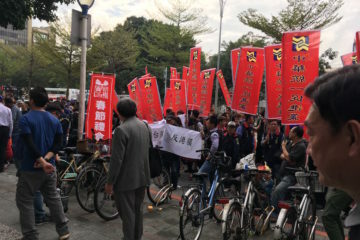 Political parties whose views disagree with those of the government forcibly dissolved by legal mandate, and mobs are further mobilized to attack critics of the government. 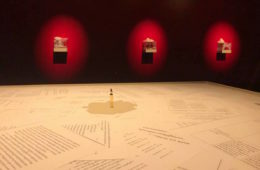 Press freedoms have also been severely affected in recent years, as observed in the expulsion of foreign journalists such as Victor Mallet of the Financial Times for actions read as critical of the government, or the kidnapping of book publishers that publish material critical of the Chinese government. 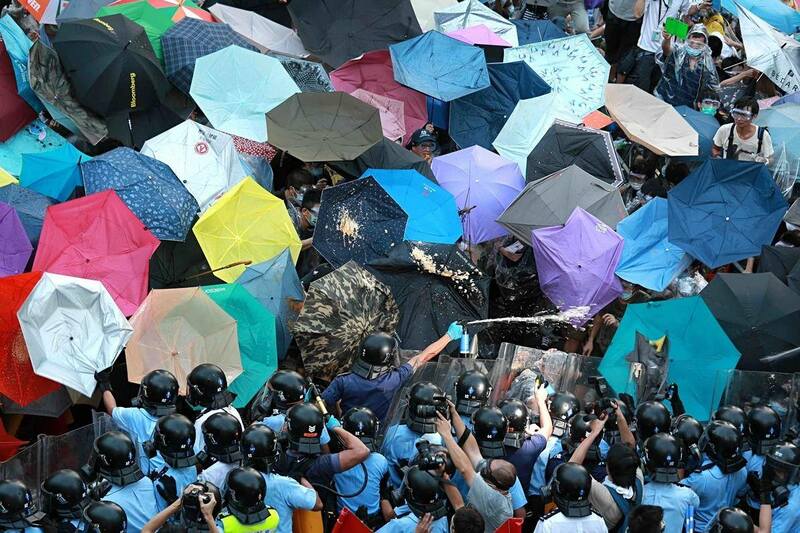 The conviction of the Umbrella Nine represents another blow to democratic freedoms in Hong Kong, then. 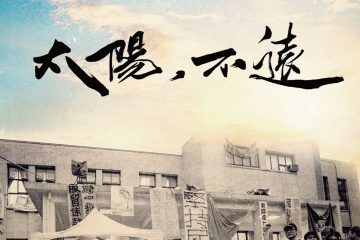 While some demonstrations have taken place in support of them, it seems as though it may be some time yet before public anger spills into any movement resembling anything like the Umbrella Movement in 2014, as we near the five year anniversary of the movement.